Former president, Chief Olusegun Obasanjo, has visited President Muhammadu Buhari at the Abuja House, London. According to Tribune, Obasanjo arrived the Abuja House on on Saturday, around 9.00p.m. to the embrace of Buhari. Obasanjo reportedly told Buhari that he was happy to see him fit again. It was also gathered that Obasanjo came to the London house alongside a former governor of Osun State, Prince Olagunsoye Oyinlola. 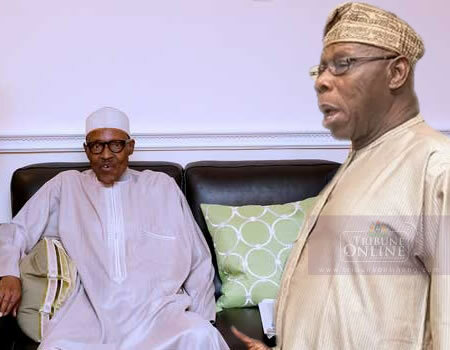 “After the exchange of courtesies, Buhari and Obasanjo left for another room in the house where they held a 40-minute meeting,” a source said.